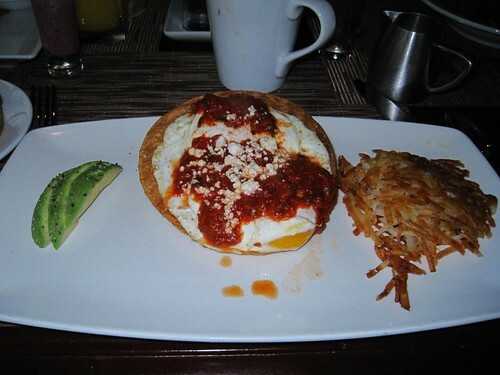 Banderas-A Texas Bistrot.. Usually breakfast is not a meal that hotels want to impress their guests. I am on the road a lot and a coffee and a croissant is what I end up with. This breakfast at the Renaissance Austin was different. I can still remember the taste of the Huevos Ranceros that I ate. The eggs on top of corn tortillas filled with refried black beans and Queso Fresco and Avocado was a great way to start the day. A very pleasant difference from the routine scrambled egg and bacon buffet routine that hotels have. This restaurant definitely differentiated itself from the rest in the breakfast. 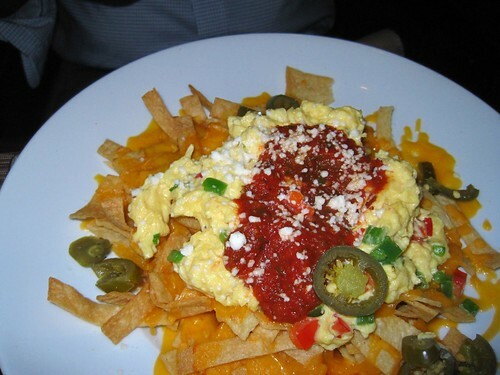 My friend ate the "Chilaquiles" Fried Corn Tortillas Strips,Scrambled Eggs (Peppers & onions), Ranchero Sauce, Cheddar Cheese, Queso Fresco, Jalapenos, Green Onions which looked great as well. If you are staying at this hotel in Austin remember it's location is at Austin's Arboretum and not too far from downtown. I did see a lot of folks with SXSW badges and I would definitely recommend this hotel for anyone attending SXSW and want some peace and quiet and a great pool. This was a memorable breakfast and even though I was Chef Raman's guest it is definitely worth the $11 to $13 that seems to be average on the Renaissance Austin Breakfast menu. Raman Natarajan is a chef who has world class experience at top hotels and has served Heads of State and other top dignitaries. On a previous visit I saw the use of technology in his kitchen as I found one of the chefs take a cell phone picture of a food presentation to Raman's phone to get an approval . Renaissance is definitely on the cutting edge of technology. The lobby of the Renaisssance Austin is huge and a lot of space for meetups and laptop connections. 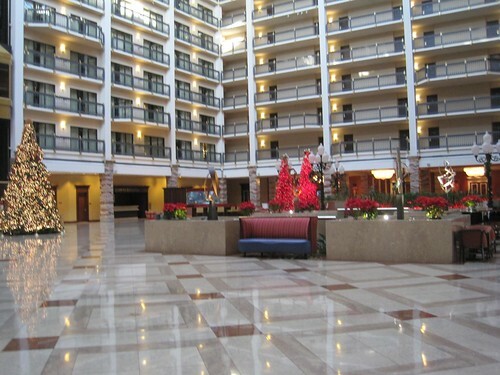 And a lobby coffeeshop "Austin Bytes" Have you been to the Austin Renaissance hotel? What do you think? What has been your most memorable breakfast?